In this post some examples of best brands for fitness trackers are given so you can have an idea what features they have and how they can serve your need. 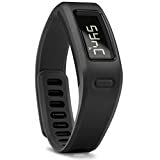 After reading this extensive post, you will be well equipped and will have enough knowledge to make an informed decision as to which fitness trackers and what features are right for you. Don’t forget to share this post if you think someone you know might benefit from it. Also, send me all your possible questions and I will respond as soon as I can. Click on the image below to see my recommendation for best fitness trackers. Also, you can read in-depth reviews of some awesome trackers to understand more in detail their features and specs. If you’re looking for a way to reach your fitness goals, the Garmin Vivofit Fitness Band is the perfect addition to your program. This monitor has built-in motivators, which set it apart from other fitness monitors on the market. Garmin is a well-known name in GPS technology – and now they’ve extended their technology to the fitness arena. The Vivofit band is sleek and modern. You can get it in a wide variety of colors including black, blue, purple, red, slate, and teal. You can choose to get the model with a heart rate monitor or one without this feature. If you get the heart rate monitor version, you’ll also get a chest band that has to be worn during activity to accurately measure your heart rate. This monitor can be worn 24 hours a day, 7 days a week and it’s also water resistant, so you can even keep it on in the shower or while swimming. It tracks your steps, the distance you’ve moved, and the calories you’ve burned. The display also has a clock function that shows the time and date. It also includes a battery that will allow you to keep the band on for a year or more without having to replace it. That means you don’t have to take it off to charge it every day – or even every week. You’ll also be able to monitor your sleep so that you can keep track of how long you sleep as well as the quality of your sleep. This is an invaluable part of health and fitness and can clue you in that you’re having trouble sleeping. One feature that really stands out on this fitness band is that every time you’re inactive for 15 minutes, part of the display will light up. You can reset the display by taking a short walk. This helps motivate you to move and fight a sedentary lifestyle. If you have a desk job, this little feature can signal a time to get up and move so that you don’t spend all of your time in a chair. This little bit of motivation can add up to big gains when it comes to fitness and weight loss. This band also has a feature that provides you with a specific goal each morning for your activity. It will then track whether or not you meet that goal. This can help you make small fitness improvements over time that add up to huge results. With the Garmin Vivofit Fitness Band, you’ll not only track what you’re doing, but you’ll find some extra motivation to improve your activity levels each day. Keeping track of your fitness and sleep activity has never been easier now that the Fitbit Flex Wireless Activity + Sleep Wristband has arrived. This tool is a must have for anyone interested in improving their health and fitness. This wristband has a slim design that will fit in with just about any outfit you’re wearing. You can choose to wear it with a small wristband or a large one – both are included. It comes in a variety of colors including black, blue, gray, and tangerine – which allow you to choose how noticeable it is. You can use this little device to track all kinds of information that will help you evaluate your activity. You can track the number of steps that you walk, the distance you walk, and the calories that you burn. You can also learn the total number of minutes you were active during the day. The Fitbit also has a website that will allow you to track your food intake, weight, and keep track of your workouts. You can sync your band to an app or your computer. This allows you to get a total picture of your health and wellness. Sleep is a critical aspect of good health – and you can also use this wristband to track your sleep. It will measure how long you sleep, but it will also tell you how well you slept during the night. And you can use it as an alarm that will only wake you and not your sleeping partner. You can set goals for your activity level and then check the small LED lights embedded in the band to see how close you are to meeting your goals. And if you enjoy friendly competition, you can also use your Fitbit to share your information and compete with your friends throughout the day. This device is made to be very sturdy and handle daily wear. In fact, you can wear it 24 hours a day – even when you’re in the shower! You can wear it for about five days before you have to recharge it. And charging is easy with the included charger. You’ll no longer have to use clunky equipment or written logs to keep track of what you’re doing throughout the day. The Fitbit Flex Wireless Activity + Sleep Wristband allows you to effortlessly track your activity and your sleep so that you can improve the way you look and feel. The Misfit Shine Activity and Sleep Monitor is a unique device that helps you track your activity throughout the day. When you set fitness goals, it’s helpful to have a monitor that keeps track of what you’re doing so that you can measure your success in an objective way. This monitor has a wristband with a circular display on top. It looks a lot like a watch, but without any hands or numbers. Instead, you have 12 small lights designed in a circle pattern. The lights are designed to give you an idea of how active you have been over the course of a day. Those same lights can be used on the time setting to give a watch. Not only will you have a fitness monitor, but you’ll also enjoy an elegant timepiece. It can track the steps you walk, but it also measures other activities – such as cycling, swimming, soccer, and basketball. You can use this monitor to track the calories you’ve burned as well as the distance you’ve traveled. This monitor also tracks the amount of sleep you get in any given night. It tracks your total hours of sleep, but also breaks it down to measure the quality of the sleep you get. You’ll know how much time you spend in deep sleep versus light sleep. This can help you understand your sleep patterns and even recognize that you have a sleep problem that needs attention. Sleep is critical for helping you stay lean and recover from the impact of exercise and stress. The Misfit Shine uses a replaceable battery instead of a rechargeable battery. That allows you to wear the monitor for as many as six months before you have to worry about replacing the battery. You don’t have to take it off regularly to recharge. In fact, you can wear it day and night without interruption. The water resistant feature even makes it possible to wear the monitor in the shower. This monitor also can connect to apps for apple or android devices so that you can collect and analyze information by syncing the monitor with your device. This makes it easy to track how well you’re meeting your goals. The monitor can be worn on a wristband, but you can also find stylish necklaces and clips that allow you to wear it in different ways. The Misfit Shine Activity and Sleep Monitor is versatile, stylish, and gives you accurate information about your activities. Knowing your heart rate when you exercise is critical to making sure that your efforts are burning fat and strengthening your heart – and the Polar FT4 Heart Rate Monitor is the perfect tool to help you do that. This monitor is worn on your wrist and comes with a chest strap that is used to help monitor your heart rate during exercise. It’s easy to set up and to wear while you work out and allows you to get relevant, accurate information. The chest strap fits a wide variety of sizes and even plus-size customers report that it fits well. You’ll need to wet the strap before using it. Water conducts electricity and this will allow the watch to pick up the activity of your heart. While you’re exercising, you’ll be able to read your heart rate from the large, clear display. This will allow you to know when it’s time to increase your intensity or to slow down a little to get your heart rate back in the correct target zone. By entering some of your personal information, you’ll get even more data that’s personalized to you – including the right beats per minute for your age and the number of calories you’re burning during exercise. While this heart rate monitor works great on land, it’s also perfect if you enjoy water exercise. It’s water resistant and can be used while swimming or even during a water aerobics class to measure how hard you’re working. This monitor also uses GymLink to connect to gym equipment that is capable of sharing information with it. That makes it easy for you to get the most out of your workout routine at the gym. Customers who have purchased this heart rate monitor have been thrilled with the way it looks, fits, and performs. It’s easy to use and provides accurate information so that you can monitor your progress. If you have heart problems and need to make sure you’re not overdoing it, you can count on this device to give you accurate information. You can set it to give you an alarm when you’re too high or too low. That means you can work out without having to constantly stare at the monitor. In addition to showing your heart rate, this monitor also doubles as a watch. It shows the date and time and can has an alarm clock setting as well as snooze function. 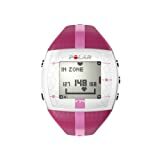 With the Polar FT4 Heart Rate Monitor you can get accurate information while you work toward better fitness. The UP 24 by Jawbone is a fitness monitor that allows you take control of your fitness and wellness efforts. This is a sleek wristband that looks more like a bracelet than a fitness band. It comes in many different colors – including black, red, lemon lime, navy blue, persimmon, and pink coral. You can choose to stand out or have your monitor fade into the background. It connects to an app on your phone or tablet to help provide you with information about your activity throughout the day as well as your sleep. This device will track the number of steps that you walk and give you additional information about workouts. It will also track your sleep so that you can determine how much and how well you’re sleeping. Getting enough sleep is a key element of fitness and weight loss and with this monitor you can get an in depth look at your sleep patterns. This will give you the knowledge you need to make adjustments to your sleep routine. You can also use the app to keep track of what you eat and drink. The app will give your food a “score” that helps you to see how healthy or unhealthy that food is for your body. If you’re looking to count calories or lose weight, this is a good tool. With this monitor, you can also create personal goals and check to see if you’ve achieved them each day. This will help you create small, achievable goals on a daily basis that add up to big changes in your health and fitness. One of the greatest features of this monitor is its extensive battery life. You can wear the monitor up to 14 days with just one battery charge. This will allow you to wear it 24 hours a day and get really accurate and helpful information. Customers who have purchased the UP by Jawbonerave about how easy it is to use, they love the long battery life, and they appreciate how it has helped them reach their health and fitness goals. Whether you’re looking to lose weight or you just want to improve your physical fitness, this is a great tool for helping you get the results you want. With the UP 24 by Jawbone, you can monitor your activities effortlessly and get real time data that allows you to make the best possible choices for your health and your goals.